Hardcover. 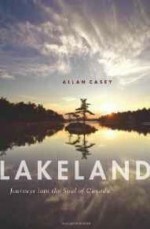 Canada, Greystone Books, 1st, 2009, Book: Very Good, Dust Jacket: Very Good, 360 pages. Hardcover with dust jacket. SIGNED AND INSCRIBED BY AUTHOR. Clean, otherwise unmarked copy with only minor wear to dust jacket.